Set Up Your LUCCA M58. 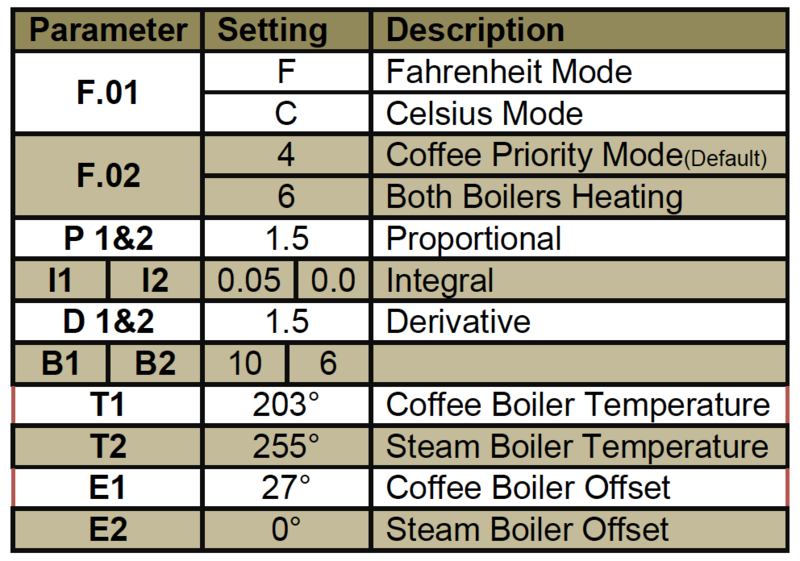 In this manual, you should find everything you to need to operate and maintain your dual boiler, E61 espresso machine. 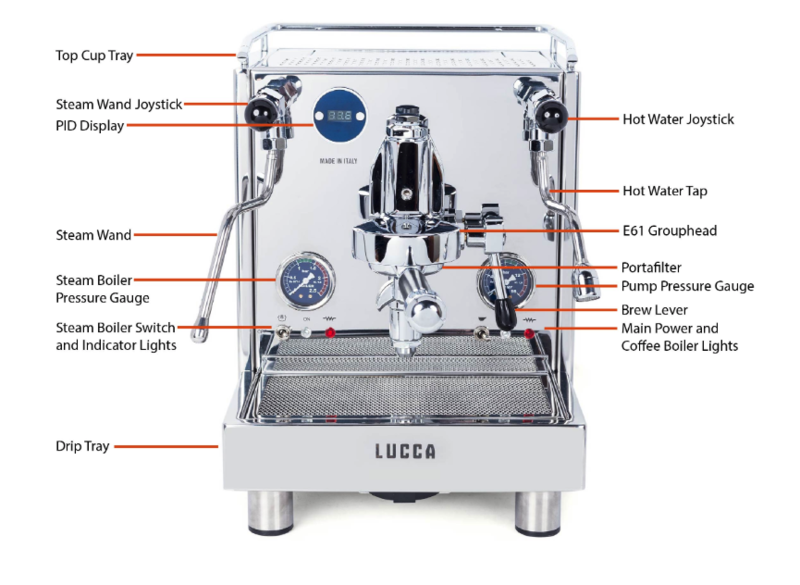 Please read carefully before using your LUCCA M58 Espresso Machine. If you are using the machine with its internal reservoir you may simply fill the reservoir with your filtered and softened water, leaving a few inches at the top to prevent spillage. The reservoir is removable. Ensure that you do not spill water on top of the machine when filling, as this may cause electrical damage. When filling the reservoir, ensure that the rubber/plastic water intake line is arranged such that it is fully submerged and touches the bottom of the reservoir. Failure to do so may result in the boilers running dry, causing damage. When inserting the reservoir, ensure that the face of the reservoir with the magnetic water level float housing is facing the front of the machine and that the float is in place. If your reservoir is full, some light are on, but the PID display is off it may be due the machine not detecting the magnet. Generally, this is because the reservoir simply needs to be re-seated to ensure that the magnet is close enough to the sensor. Shifting the bottom of the reservoir toward the face of the machine will generally solve this issue. Your LUCCA M58 comes with a braided water line that connects to the water inlet on the bottom of the machine and has a 3/8ths OD push connect fitting on the other end to direct connect to a plastic water line. Once plumbed in flip the switch that is to the left of the water tank from “tanica” to “rete”. If you plan on plumbing in your own water kit to the braided line that doesn’t use a 3/8ths OD plastic tubing you’ll need to find an adapter for the braided line as it has a 3/8ths BSPT threaded female connection. Standard pipe thread in North America is NPT thread. While the machine is off: hold down the left and right PID buttons and turn on the machine. Hold down the buttons until F. 01 appears. From here the same rules apply for the standard operation programming mode, you can cycle through the menu with the left button and access the settings value with the right button. We highly recommend leaving these value alone as our technicians have set them upon bench testing.